We have a knack for wireless chargers, and this one’s from ANKER ticks all the right boxes. Pick it up for $17.99 today and you won’t be disappointed. Pretty much all flagships coming out these days have wireless charging baked right in. 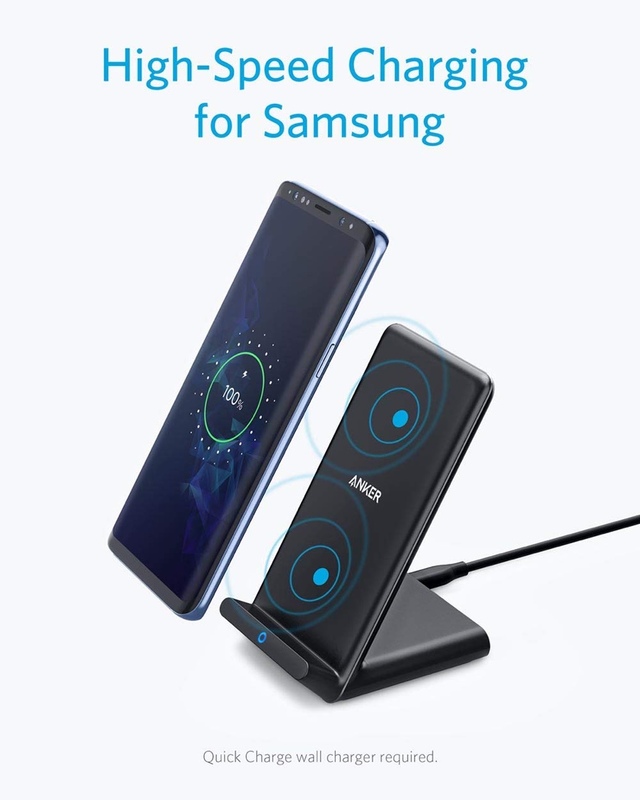 If you bought a smartphone recently that packs the Qi standard for juicing up, then you’re most likely looking for a good deal (along with an excuse) to spread wireless chargers across your house. If that’s so, then look no further than what ANKER has to offer today. Coming in hot for just $17.99 (usually $26) the PowerWave Stand is a highly-rated Qi wireless charger on Amazon. It packs an output of up to 10W as long as your device supports it, which is very, very fast in terms of charging up wirelessly. Furthermore, it features an upright design so you can keep your device in portrait mode while charging. This also means that you can keep on binging on that TV show while your phone juices up. 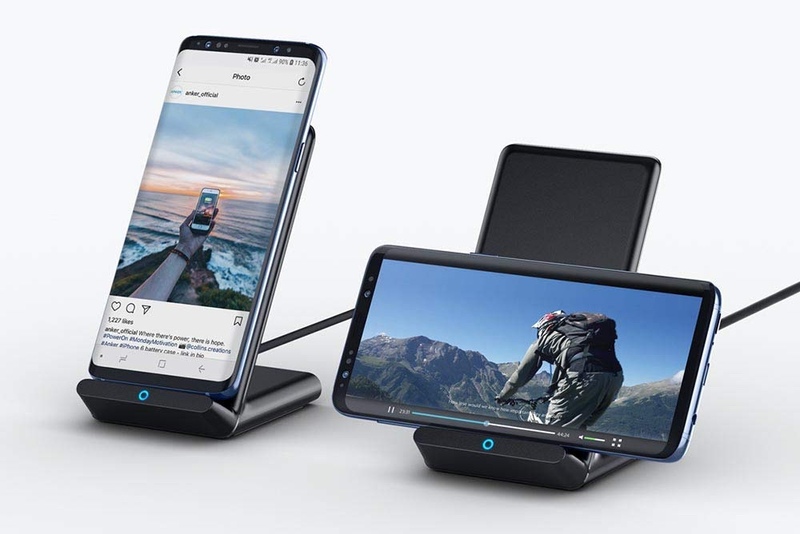 The PowerWave Stand features a dual coil design so you can put your smartphone on the stand in landscape orientation and it will still charge up just fine. This is the sort of thing every single wireless charger should have. It’s great to see it here. Last but not the least, this charger has a lot of safeties built right in so that your device stays cool during the charging process and does not overcharge in any way. Sounds about right. Head over to the link below and big this deal right away. There’s no special code or anything in order to get the discount. Just head over to Amazon and buy away!